Building on the classic J-frame snub, Smith & Wesson’s new Model 442 variant includes factory Crimson Trace laser grips and a Performance Center action. Like the standard 442, the wheelgun is rated for continuous +P use, while the lightweight alloy frame and snag-free enclosed hammer are ideal for a compact carry revolver. Departing from the matte black carbon steel five-round cylinder in the standard Slickgun, the Performance Center model uses a stainless cylinder with polished flutes. Meanwhile, the action has been professionally tuned for a lighter, smoother trigger pull. Note the polished plate screws and trigger as well, another upgrade from the standard 442. 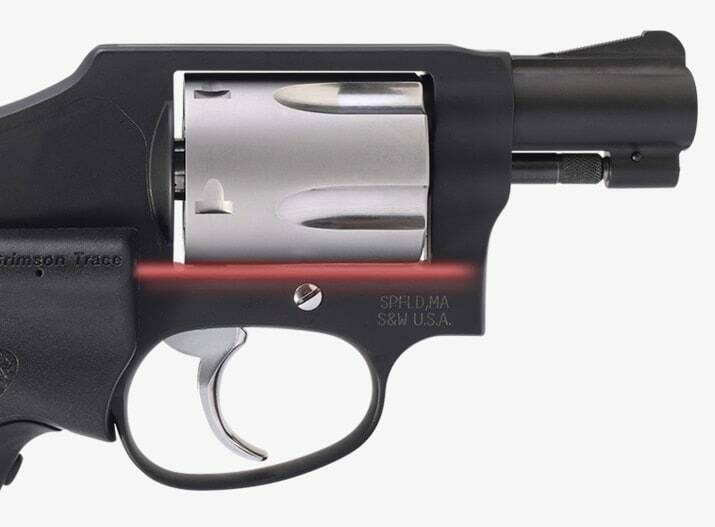 Weight is 15 ounces while the 1.875-inch barrel allows for an overall length of 6.3-inches. Suggested retail price on the Model 442 Performance Center is $742. Keep in mind with that price that the CTC grips retail for $229 by themselves while the standard 442 Airweight without the Performance Center tweaks MSRP’s for $469. The post Smith & Wesson announces new Model 442 Performance Center offering (PHOTOS) appeared first on Guns.com.